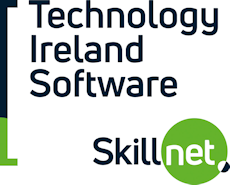 SoftTest Ireland would like to announce an upcoming Skillnet funded Selenium course starting this October. The total course cost will be 425 euro. This course is designed to familiarize testing professionals with testing web applications using Selenium. Testers can build, enhance, and maintain scripts in the Eclipse IDE Editor. Hands-on instruction is provided for those who want to explore the power of using Selenium. The Selenium IDE plug-in builds effective and resilient test scripts using a wide variety of current programming languages. The focus is on the practical application of Selenium to resolve common web automated testing challenges. This course focuses on getting started with Selenium. The target audience are software testers who are seeking to automate the testing of web applications using Selenium. This basic course is designed primarily for testing professionals who will be using the automation tools. These testers are new to test automation and may be new to testing. The audience might also include quality assurance practitioners, managers, or team leaders who are responsible for interacting with testers or who need to ensure that the tools are being implemented fully and appropriately. Configure Selenium Remote Control with Eclipse. Configure Custom Log Files Prerequisites. How to debug the test scripts. Building test suites and using test runner. Extending the IDE’s functionality and making use of user extensions. The constraints on the IDE and how to fully extend Selenium. Running TC is selenium RC server command line. The next steps: extending Selenium.